Street foods in the Philippines are popular because it falls within anyone's budget and there are actually a variety of fun and delicious fares to choose from. Last November 30, ten of the country's most talented street food cooks gathered at SM Sucat Hypermarket for the much-awaited cook-off competition. The top 10 contenders were group into tandems to compete for the Best Pinoy Street Food 2015 finals. Each of the 5 teams worked their way in preparing for the best pasta dish. 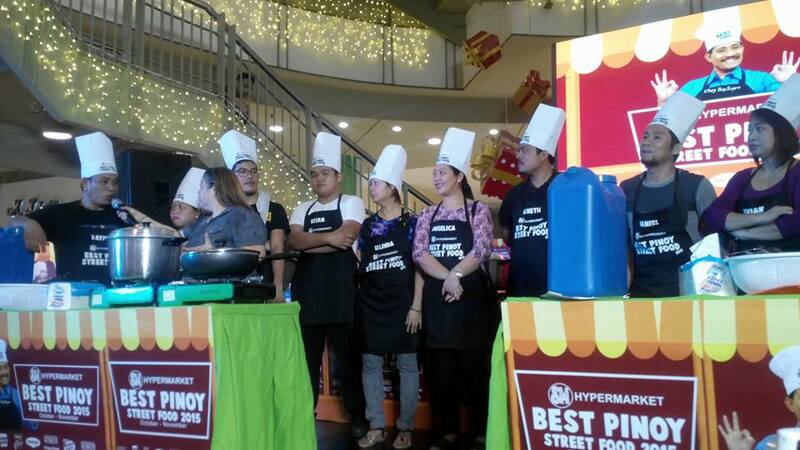 These 4 finalists then went inside in the Hypermarket to scour for ingredients that they would use to recreate their own version of Chef Boy Logro's cuisine. They were given P 500 to spend on their own versions of Bacon Chicken Roulade. 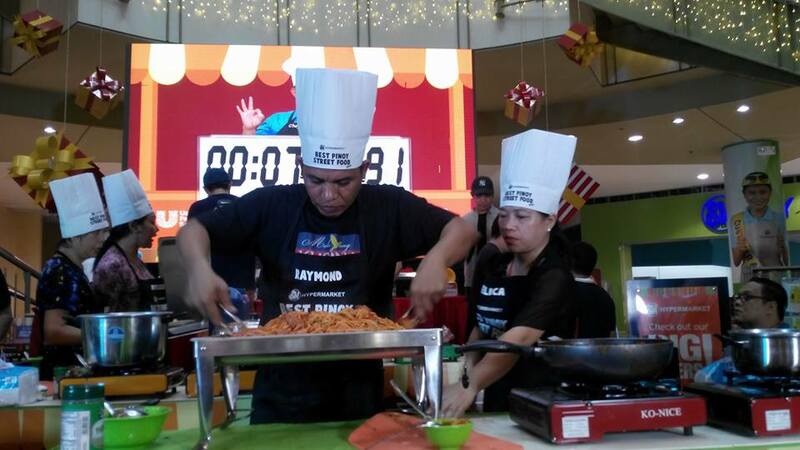 Each contestant has his own specialties and cooking secrets that got him in this competition stage. Some are veterans in the food business for decades, while others are either entrepreneurs or culinary graduates up to prove their kitchen expertise.. 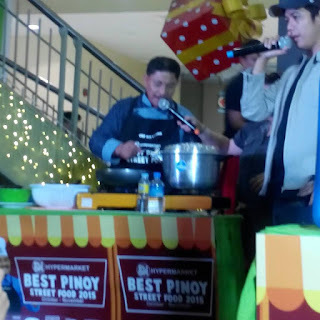 They gave all the techniques, methods and skills they've got to snag the title for a chance to own a food stall at SM Hypermarket rent-free for a year and take home P100,000-peso worth of prizes courtesy of SM Hypermarket's Food Service Center---the home of big packs for restaurant and catering needs. 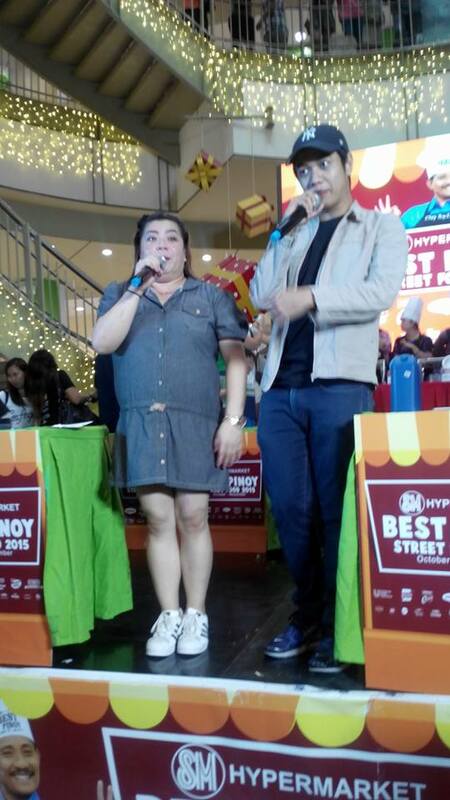 Although Angelica Libed of Aling Mila’s Food Delivery and Catering emerged victorious in the final round, all contestants were deemed winners in their own right knowing that they gpt what it takes to compete at the grandest stage of Filipino street food. There were fun games and exciting promotions at the food fair. 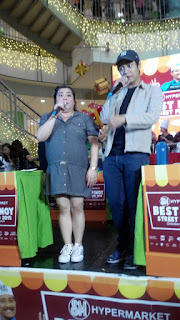 The event was made possible by sonsors like Bibbo Hotdog, Idol Cheesedog, Sesame Hotdog, CDO Ulam Burger, CDO Sweet Ham, CDO Chicken Franks, Knorr, Del Monte, Joy, P&G, Maggi, PureFoods Crispy Fried Chicken, PureFoods Chicken Breast Nuggets, Unilever Food Solutions and Nestle All-Purpose Cream.